Picking up where I left off, I made a few trips on bicycle to Dreier-Offerman Park in the last couple of weeks. I also went (by car) to Plum Beach twice last weekend to look for sharp-tailed sparrows. My plan was to ride southwest, to the Verranzano Bridge, then continue along the promenade to Dreier-Offerman Park. Purple Sandpipers should be arriving soon, so I thought I'd look for them along the rocky shoreline of Gravesend Bay. The low, autumn sunshine, however, was blinding on that 2 mile stretch, so went directly to the park instead. Dreier-Offerman Park was extremely active with a nice mix of passerines along the weedy, disturbed habitats that edge the peninsula. 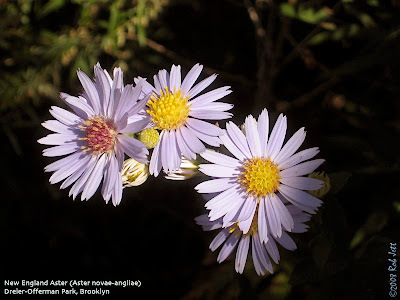 New England, New York and Saltmarsh Asters brightened shrub islands and unmowed grassy patches on the periphery of the soccer and baseball fields. There was a kestrel hunting all morning above the short grass of the central fields. 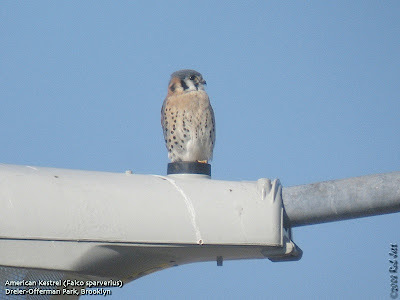 The falcon used the tall lampposts around the fields as a perch to scan the ground. A very large, female Sharp-shinned Hawk patrolling small, scattered stretches of woods along the park edges was also stirring up a lot of avian unease. Needless to say, birds were very skittish, but I did have some interesting observations. The best experience of the day occurred late in the morning. I was scanning the small cove on the north side of the park when a flock of Pine Siskins flew into an Ailanthus tree to my right. A few moments later they dropped down to the edge of the water to bathe and drink. I have seen Pine Siskins around the city parks nearly every year, but usually it is just 1-3 birds within a goldfinch flock. At Dreier-Offerman I counted approximately 50 individuals in a flock comprised completely of siskins! When they perched in the tree, the chittering sounds and random choruses of several dozen "zreeeeeeet" just above my head was very cool and reminiscent of something usually found in the Adirondacks during winter. Warbler diversity seemed to have been reduced to mostly large numbers of Yellow-rumped Warblers and Palm Warblers. In addition, there was a decently mix of sparrows around the park edges, the highlight of which was a Vesper Sparrow. 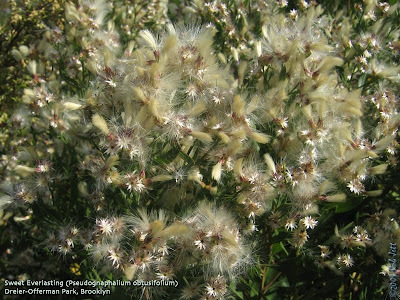 I was walking through the grass and mugwort at the western tip of the peninsula when I flushed a large sparrow. It circled me then landed on a chunk of discarded asphalt at the edge of the water. The bird was cooperative and remained in the open for about a minute before scurrying like a mouse into the adjacent grass. Much less rare, but certainly a treat to see on a bright, sunny, autumn morning, was a male Eastern Bluebird. 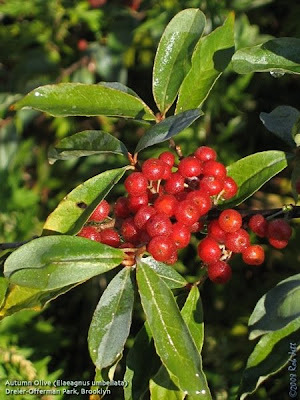 Other thrushes, such as Hermit Thrushes and robins were seen in good numbers, particularly around Autumn Olive trees, which are now laden with juicy berries. The most birdy area in the park was at the southeast edge, within a stretch of trees below the berm. On Wednesday I took a late afternoon ride to Dreier-Offerman Park. I was only planning to get some exercise and didn't really have time to bird. My bins were in my handlebar pack, just in case. The route took me straight down through Bensonhurst and Gravesend, then I'd loop around the park's inner roads and head back home. A flock of Killdeer were noisily circling above the cove on the south side of the park. They gradually decended below the trees, presumably to roost at the water's edge. I flushed two Eastern Meadowlarks near a grassy patch at the tip of the peninsula. Their stuttering flight is unusual and distinctive. The edges of the soccer fields were littered with garbage from recent games and it annoyed me. When I cut across the roadway that bisects the fields, I scanned the trash and muttered expletives under my breath. Then one small, dark pile moved and my disposition changed. 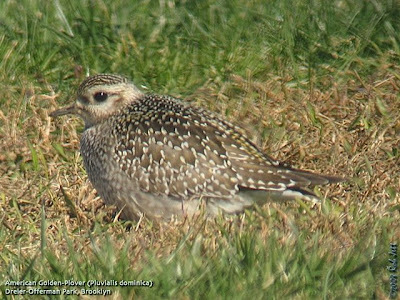 It was an American Golden-Plover sitting in the grass next to a white, painted goal line. 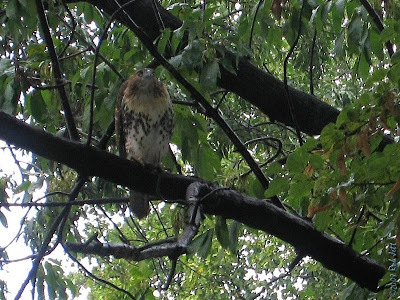 I called a couple of friends to let then know, as these birds are rarely seen in Brooklyn. Early the next morning I drove back to the park with my friend Marge. I wasn't optimistic that we'd find the plover, but it didn't hurt to look. 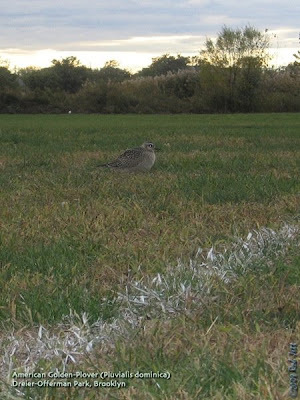 Sure enough, the bird was nearly in the exact same spot on the south field. Unlike the prior evening, he was illuminated by bright sunshine. Golden-yellow on his upper-tail, rump, scapulars, head and to a lesser extend, facial patch really stood out. It was the first time that I was close enough to one of these birds to see the color. I've never seen one in breeding plumage and imagine that they are stunning. Guess I'll have to take a trip to their arctic breeding grounds. Adding to the excitement of the morning was an American Kestrel hunting from a lamppost above us. 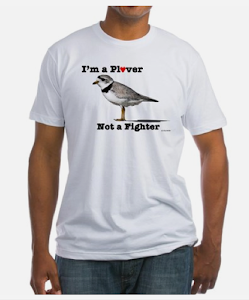 Several people went back over the next few days trying to relocate the plover. It was eventually seen by my friends Tom and Alex early on Sunday morning. Shane and Doug have been birding a lot lately at Plum Beach. 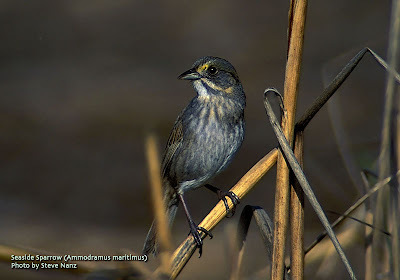 I was surprised to learn that both the Nelson's Sharp-tailed Sparrow and Saltmarsh Sharp-tailed Sparrows have been seen there regularly. Shane offered to drive over with me on Saturday morning at dawn. The weather was threatening rain, but even if it didn't, strong winds were gusting out of the southwest. We were hoping that the dunes would block some of the wind and the birds would stick their heads out of the dense marsh grass...even for just a quick look. For many people, when you say the word "sparrow" they probably think of nondescript, little brown birds. Sharp-tailed sparrows are not. 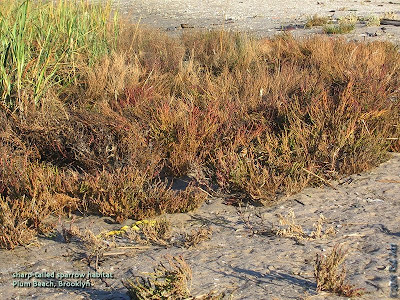 Browns, grays and yellow-ochre patterns are distinctly, yet help them blend into an environment of sand and marsh vegetation. Their hissing, high-pitched song could almost be mistaken for wind rustling through the grass. Despite wind and drizzle, we managed to see several Nelson's and Saltmarsh Sharp-tailed Sparrows. I went back the next morning with Paige. On Sunday there was little wind and lots of sunshine. The sparrows were very cooperative as we sat on the sand a couple of yards away from the marsh. 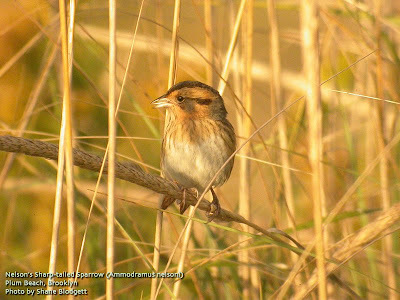 Washed in golden, fall sunshine, we watched several of these lovely birds nibbling on vegetation close to the ground or in the dunes behind us feeding on the seed-bearing tops of the dune grass. At one point we observed a Savannah Sparrow, Seaside Sparrow and Nelson's Sharp-tailed Sparrow perched on the grass side-by-side. I shot a short video, but the quality didn't do these beautiful birds justice, so decided not to post it. I'm back. Sorry if my postings have slowed to a crawl in recent months. Sometimes my thoughts and good intentions are like unsorted stacks of paperwork on my desk. As the size of the piles grow, it becomes increasingly difficult to determine which items to toss, file or put to good use. Stagnation can become a problem, but that's a discussion for an entirely different type of blog. Here are some recent (and not so recent) updates. Around New York City I've observed increased numbers of migrating kinglets, Chipping Sparrows, White-throated Sparrows, Dark-eyed Juncos, sapsuckers, Red-breasted Nuthatch and some of our other winter visitors. My arm is now out of the sling and I've been going to physical therapy once a week. I've also started cycling again and am gradually building back up to 25 mile rides. September 28th was my first, relatively long, birding day with two free arms. My old friend, the late Marty Sohmer, once told me, "The worst weather sometimes brings the best birds." 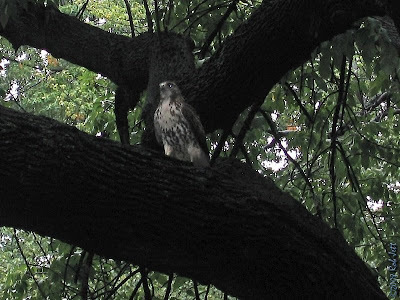 With that bit of advice in mind, I met with my friend Paige that morning for some wet birding in Prospect Park. We spent 2 hours birding during the peak of the day's rainfall. When I returned home, soaked to the bone, the sun promptly appeared. There appeared to be a pretty decent influx of songbirds around Lookout Hill, the Peninsula and edges of the lake. Unfortunately, the time spent between wiping my bins and actually using them to see the birds were brief. We did have one unexpected find that made up for the rain - a Least Bittern on Three Sister's Island in Prospect Lake. The bird was preening out in the open within the branches of a willow tree that juts into the water on the island's western edge. Cormorants can usually be seen drying their feathers in this location. In 2006 a Least Bittern was located on the same island, but close to the shore on the southwest side within a stretch of phragmites. 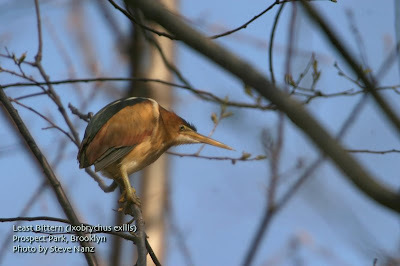 This is only the second time that I've seen a Least Bittern in Prospect Park. The first one I found on a foggy morning perched in a Black Cherry sapling on Payne Hill (not even close to this bird's typical habitat). 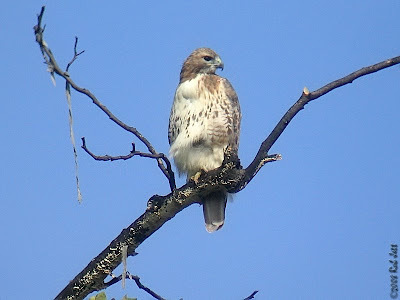 Before we arrived at the edge of the lake near the island, we spotted a pair of juvenile Red-tailed Hawks in a wooded stretch near the bridle path. At first, we only noticed one, then it flew to an adjacent tree where a smaller, presumably male hawk, had been perched. The second bird had a distinct white patch on its crown. I'm guessing that they were Alice & Ralph's offspring from this year. 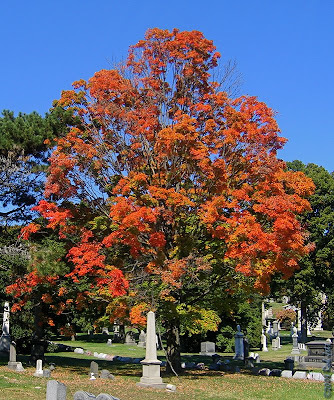 The following weekend we went over to Green-Wood Cemetery for a couple of hours of birding. Warbler diversity seemed to have reached the seasonal peak, but there were still lots of songbirds passing through the area. Both species of kinglets had suddenly appeared in good numbers, as had several species of thrushes. Sparrows had taken their place on the annual south bound conveyor belt - Chipping Sparrows, White-throated Sparrows, and Dark-eyed Juncos were the most abundant species. Many will remain through the winter. I spotted a Clay-colored Sparrow as we were walking up the road towards Battle Pass. These small, delicately marked birds are rare but regular migrants along the coast, so it's always a nice surprise to find one. They are generally found within flocks of the similar and related Chipping Sparrow. Numerous fruiting dogwood trees were hubs of bird activity in the cemetery. At one point 4 Scarlet Tanagers feasted on the bright, orange berries just a couple of feet above my head. Yew trees were also a big draw. 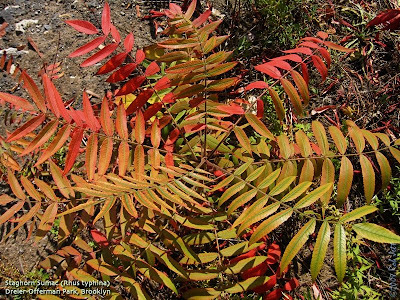 A flock of several dozen Cedar Waxwings blanketed one tree while we were standing on Mad Poet Hill. Marge, Mike and I stumbled on a Great Horned Owl in the cemetery. 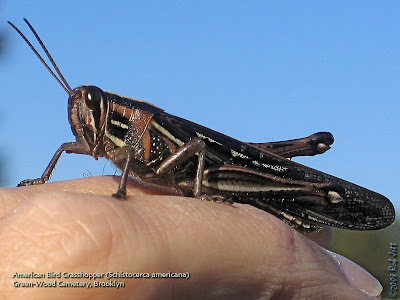 None of the cemetery's regular birders had seen him or her in several months. It was an pleasant surprise. I am always vague about the location of owl roosts because these nocturnal birds have been so badly persecuted in the past and are sensitive to human disturbance. They are the best rodent control method ever invented, so I'd like to see more of them around the city and less poison traps. I cycled over to Green-Wood a couple of more times since that day, but wasn't able to locate the owl. On those days songbird activity was very slow, not because there weren't any birds, but because at least 5 raptors were on the prowl. 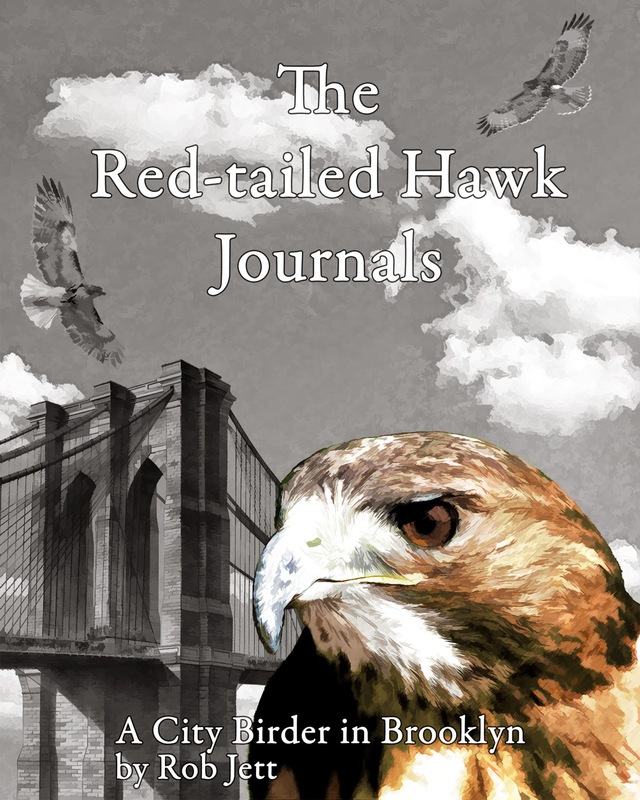 I counted one Red-tailed Hawk, two kestrels and two Cooper's Hawks. Marge and I spent a couple of hours birding Prospect Park on the morning of October 14th. We found Ralph perched in a favorite spot atop the massive Tuliptree on Nelly's Lawn. I took a few photos and, as we were walking away, saw Alice flying from the back of the same tree. I was hoping to find some sparrows nibbling on the grass at the edges of the "Sparrow Bowl" near the Tennis House. Unfortunately, all the birds were hiding. Two very vocal Sharp-shinned Hawks were terrorizing the wildlife along that edge of the Long Meadow, although they seemed more interested in fighting with each other than hunting for little birdies. Tomorrow I'll continue the update with some interesting sightings from Dreier-Offerman Park and Plum Beach. 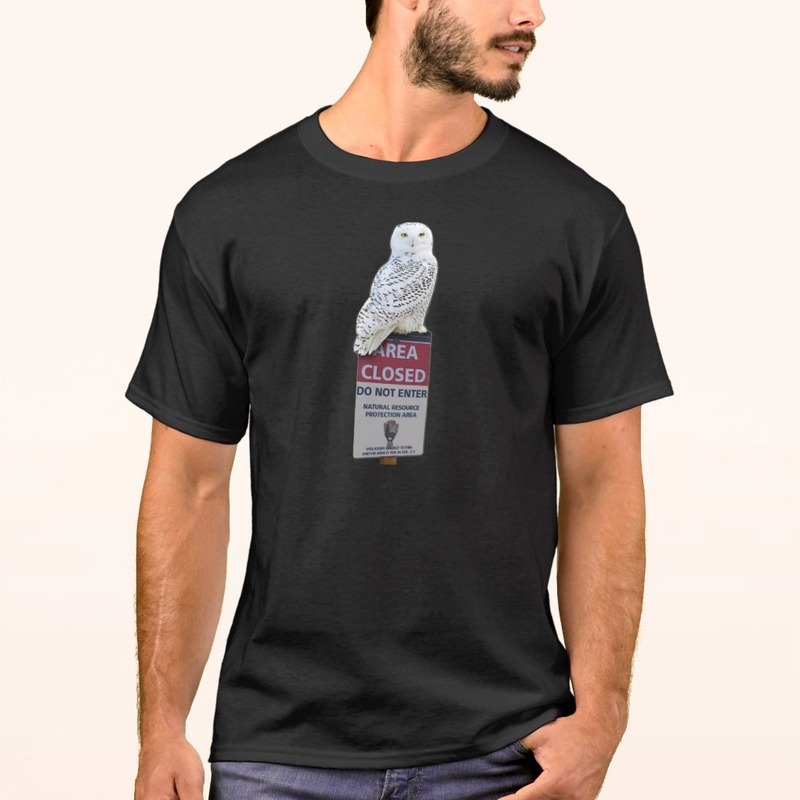 Over the last few weeks I decided to create some simple products (T-Shirts, totes, mugs, etc.) 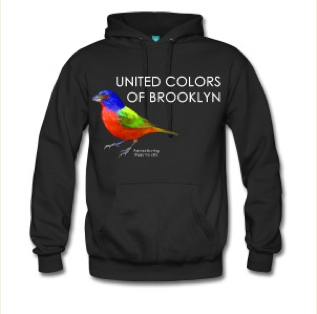 for "The City Birder Online Shop". 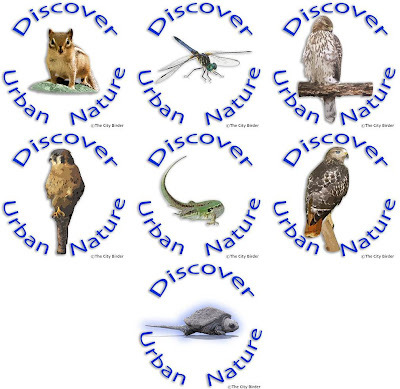 Below are thumbnails images of the designs that I made from my photos. Over time, I'll add more images, including some framed photos. Let me know if you like them or if you have a favorite photograph that you'd like to see added to the shop.